Family Armory offers firearms instruction to individuals, small groups, and to the general public. Our classes are designed to help you become a better and more confident shooter. All class dates and times can be found on our Facebook Events page. Correct hand placement on a semi-auto pistol helps to reduce or eliminate common malfunctions, e.g., failure to load/eject, and contributes to overall accuracy. If you were to imagine a semi-auto pistol being held in place with a front-back and left-right mechanical vice, the main component that would move on the firearm when shot would be its slide. Your hands take the place of the mechanical vice and assist the firearm’s slide to extract and load rounds. On the other hand, a loose grip on the handle or an unprepared upper-body might actually absorb the energy needed for the slide to achieve a full range of motion. Our class will cover other variables that contribute to bullet placement. The AR15 is arguably the most popular rifle platform in the United States. However, there is a difference between owning an AR15 and shooting well with it. In order to shoot well with an AR15, there are certain things to consider: manufacturer’s maintenance guidelines, ammunition, stance, and grip. In other words, how an individual interacts with their firearm is just as important as the mechanics of the firearm itself. For example, when holding a rifle, some people kick one should back in an “old hunting style” method. And while this method is good for accuracy, it’s terrible for accuracy-with-speed under stress. Taking a class at Family Armory will increase awareness both in the classroom and on the range. 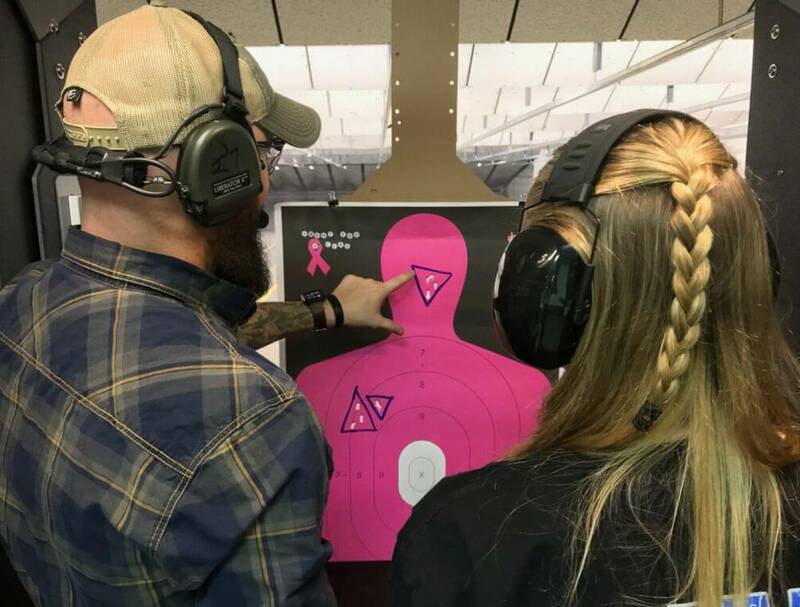 Family Armory’s Indoor Range extends to 25 yards. Those wanting to zero their ARs are strongly recommended to send their targets out to the maximum distance before shooting. (Zeroing: when point of aim matches point of bullet impact on a target placed at a certain distance.) As the bullet leaves the barrel, gravity begins to act on the bullet. To compensate for the effects of gravity on the bullet over distance, the aim of a rifle is adjusted upward in order to achieve the desired final distance of bullet impact. Zeroing an AR at 25 yards — along the bullet’s travel upward — translates to about a 330 yard or 340 yard zero — along the bullet’s travel downward. In other words, the bullet’s point of aim and point of impact will be roughly the same at 25 yards and between 330-340 yards. Of course, there are several variables that influence point of aim vs. point of impact such as ammunition brand and configuration, the adjustment of optics, and the shooter’s stance, grip, and trigger pull.